Description Collect all of the acorns and feed hungry squirrel. 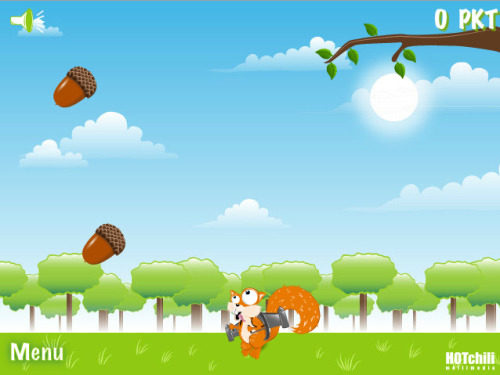 Try to catch golden acorn to have a bonus - points and speed fly. Click left mouse button to start. Using Mouse (lefr/right) move the squirrel. Collect all of the acorns and feed hungry squirrel.